Below is the feedback from the students who attended SIGGRAPH 2004 in Los Angeles through the Spend a Week at SIGGRAPH program. The ACM SIGGRAPH Computer Graphics Pioneers sponsored the students. The Siggraph conference was interesting and informative. The Exhibits made me aware of the many practical uses of graphic arts in the business world. The Emerging Technology section showed the latest developments in computer technology. The Pioneer Mentor Program was helpful in showing me the different careers in graphic arts. The time spent at Siggraph 2004 was time well spent. My first impression when I entered the Exhibit area was that there was a lot of people, a lot of noise, and a lot to see. When I started to walk around, I started to see the new things that are available now and things that are coming out soon that can be used in work and entertainment. I liked to see how graphic arts is used in commercials and movies. I became more aware of how often graphic arts is used in business, education, and entertainment. Of course, the free stuff was a nice bonus. I thought the Emerging Technology section was going to be boring, but when I got there I changed my mind. I saw how the new developments could be used in training programs and entertainment. The presentation on “Swimming Across the Atlantic Ocean” in virtual reality could be used in video games or to train swimmers and military personnel. The haptic technology could also be used in many areas, such as video games and medical training. I liked the idea of using a PDA in the “Train Simulation” instead of a computer because a PDA is more portable than a laptop. I also liked the floor mat with the regenerating image, even though I cannot think of a practical use for it. I liked the Pioneer Mentor Program. It gave me a chance to see new computer graphic applications. Mike McGrath seemed to care about what I was interested in. He encouraged me to consider careers that will combine my interest in art and computers. He spent time showing me around the conference and discussing the different areas with me. I especially appreciate his efforts to get me a pass after I found out there was a problem with my registration. I also appreciate the opportunity to express my opinions about the Siggraph conference. I think attending Siggraph 2004 was a good learning experience. After visiting the Exhibits, I realized how important graphic arts is in entertainment, business, and education. In the Emerging Technology section, I learned about new ways of using graphic arts in work and recreation. The Pioneer Mentor Program showed me different areas to consider when making career choices. I hope the Mentor program continues because it will benefit other students like me. 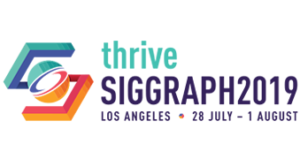 On Thursday August 12, I had an opportunity to go to a Siggraph Conference at Los Angeles California. I was really inspired and impressed to see what was at that convention that day. I met with a man name David Kasik and he showed my mom and I around on the map. So my mom and I walked around the convention to see what these people have at their booth. There were a lot of booths there like Intel, Sony pictures, Walt Disney and last but not least, The Art Institute. I went to all the booths see what they have and I was talking to them and they were telling me what their product does. I was really amazed by what I saw. I saw a custom-made computer design by a Japanese man. He designed a double monitor computer that you can watch movies on one monitor and on the other you can be on the computer, like looking on the Internet or doing homework. The Japanese man told me that his computer is and will be the fastest computer in the world. Another thing I saw was that you can swim in the Pacific Ocean without getting wet. Like you can climb into a virtual reality suit and you can just swim without getting wet or getting killed. I also saw an invisible train that was sitting on a train track but the train wasn’t even there, that was crazy too. There was a platform thing that you stand on and wherever you walked it would go with you. Then I had got to play with a computer in the Guerilla Studios. I was moving images and creating my on character, but I don’t think he came out good. Then my mom and I sat down and ate lunch for a long time. After lunch we went to some more booths to see what they have. Me and my mom really enjoyed going to the Siggraph that day it was really fun to see the new technogly for the new future in the new millennium I hope they have more high tech machinery for the new future. I learned that you can take images of real things and through computer graphics can change these images to look ether more animated or even real. Production graphics provides an environment where you can easily create and edit custom facial animation of your favorite characters. Also you can turn your 3D dreams into reality. Plus the company GenArts used extensive image quality enhancement and unique organic look. Examples of these can be found in such films like “Titanic” “Armageddon” and “Final Fantasy”. After visiting all these displays and companies I now have a better understanding of how the knowledge of art and math skills is very important in computer graphics. I want to say thank you to my mom for taking me and David for meeting us their and I really want to say thank you to my teacher miss Caroline Lynch because if it wasn’t for her I wouldn’t be going to the Siggraph. So thank you to all. Wow Siggraph, it has been a couple months since I’ve written another copy of the Siggraph summary paper and I still remember the memories at Siggraph. First of all, Siggraph was not what I expected, but since I’ve been to the anime convention I wasn’t surprised how it was set up. I first met my mentor and we first went to the exhibit room. I knew that he knew his stuff so I listened to every word he said. Since I took an Illustrator/Photoshop class I already knew about 2-D graphics, but when it came to 3-D graphics, I would have blank stares. I would see all the people who were waiting for Siggraph all year long and I was very much fascinated and jealous of the people who were in the department of computer graphics. I saw some 3-D program lectures that caught my eye and I dragged my mentor to go see it with me. I liked the detail of the 3-D programs that I was planning on buying one on the last day of Siggraph but I wasn’t sure which one program is the recommended one. I was hoping to ask you guys which program you prefer? I am planning on applying to OTIS in Los Angeles later in the years so I would like to get my practice. Siggraph really inspired me and I am glad to have been given the opportunity to go to Siggraph 2004. My favorite part, or I’ll say parts, was the guerrilla studios. I could have spent all day in there. It was so cool. The only thing I did not like about it is that I was not used to the drawing pads and I would rather prefer the mouse over the drawing pad. The other was the Art Gallery and the improving technologies (I think its called that) but anyways, it had all those technology demos. I really liked the pacific ocean simulator and I was given the chance to use it. And it was just so cool. I was swimming and I couldn’t get anywhere but i could see where I am going and I would like to get it if it ever goes public. I would have liked the exhibit room but it was way too crowded for me. I almost forgot, of course the best part of Siggraph was THE ELECTRONIC THEATER! Now this is not what i expected at all. This was the most fascinating experience ever. I went to the early 1:15 showing and then all of a sudden we were in a game simulator, that I believe NYU students have made up, called the Squidball. The SIGGRAPH 2004 was really a great experience that I had originally underestimated. I didn’t know that it was going to be a full-blown convention with thousands of the greatest minds in Computer Graphics. My hobby of CG was, until the convention, based only in 2D illustration and animation. After seeing things like the Exhibition area and the Electronic Theater I was convinced that 3D graphics are much less limited than 2D and in many cases can better express an artistic idea. If I learn 2D and 3D tools, then there will be no limitations to what I can create. I honestly don’t think that I would have considered pursuing 3D graphics if it were not for SIGGRAPH and the Pioneers. I’m already using Maya. I’ve also learned that there is more of a demand for talented 3D artists than 2D. But anyway, I’ll get back to the summary of SIGGRAPH 2004. On the first day all that I had the chance to do was register and attend an Intro to Computer Graphics course. I learned some of the basic vocabulary and procedures in the 3D modeling and animation processes. Next, I went to the Emerging Technologies session and saw all of the innovative new toys like the camera that finds edges, the virtual reality swimming, and the Invisible Train. I also checked out the Art section right next door. The interactive art on the computers stole my attention for a good half-hour. Next up on the list was the Guerrilla Studio were I was to blow many hours getting to know my good friends like Maya and Combustion. That was probably some of the most effectively spent time at the convention. I believe it was the next day I was going to attend the Intro to OpenGL Programming but unfortunately had to pick up someone else for the convention. I’m sure that it wasn’t anything I couldn’t learn in a book so I have no regrets. Later I went to the Exhibition Center to see the commercial side of the business. I sat down at some of the exhibits to observe the newest techniques that the pros are using. I picked up some cool stuff too like a tutorial DVD for some Adobe applications, as well as some tasty breath mints. I think I needed them too, so all the better. Somewhere in the mix I went to the Electronic Theater with my mentor Geoff Wyvill. The game that they had with the balloon balls was a great way to pass the time until the show, although me and Geoff didn’t greatly appreciate getting knocked in the head by the balls. Seeing this show was definitely a big factor in my newfound interest in 3D graphics. Thinking about actually being able to create animations like those excited me. My favorite was definitely the Onimusha clip since I love ninjas. Last but not least, I went to the job fair spending most of my time at the pin-up boards to see what skills the average Joe had. That was also a good experience for me. It gave me a sense of what skills and talents the jobless have and the skills that employers want. So thats my time spent at SIGGRAPH 2004. If I have the cash I plan to go next year too. Hopefully it’ll be in LA again. Anyway I’m really grateful for the experience you and the Pioneers have provided for me. I almost feel bad that I’m doing nothing in return for this. I guess the least I can do is give you some advice. At the dinner you asked me if there was a better way to get ahold of the kids. Well personally, me and nearly all my friends always talk on instant messengers like yahoo messenger and AOL messenger. Just a thought. So maybe next year, next to the E-mail address you could have them put a messenger screen name and also specify their messenger type. That way you could answer multiple questions at once while they are online. You could add all of the screen names on the “Buddy List” and just talk to them whenever they come online. Also, have your Representatives describe SIGGRAPH just a little better. I thought it was solely 2D or web graphics until the day I actually attended. Yelp, I’m sure your a busy man at Boeing so I won’t make you waste any more of your time. Below I have my mailing address and if there’s anything else you want to know about anything at all, just E-mail me back. This year I attended the SIGGRAPH Conference at the Los Angeles Convention Center. Going into the experience, I was put into the mindset that this would be educational and entertaining, I was also happy to have a reason to get out of the house, far from being sad to go, yet not really having any particular incentive either. Upon arrival however, my mindset was immediately shifted. As we toured the Emerging Technologies department, I was shocked to find so many artistically inspired technologies. Most with absolutely no future, and many with no real use other than entertainment. However, for someone to take thirty something cameras, place each at ~5 degrees apart in a room, then let the attendees stand in the next room and look at a screen to see the three dimensional people moving around, well, lets just say that I am glad that the effort was put forth to further technology, but I really doubt that there is any household pocketbook that could afford that. The most interesting display however, was done by a company called PhaseSpace; they took ~40 high speed cameras, and placed them around a ~30′ X 30′ box. Then they would put people in suits, and placed LED’s (Light Emitting Diodes) on the person, about one diode to a joint. Then the person would move around, and the cameras placed around would record his movement in a one dimensional world, then transmit their tracking into a computer, which got all of the camera feeds, and from each would build a three dimensional skeleton to match the placement of the diodes. All of that information is in raw data form, so it was easy to change around the character movement if needed. The model could then be hooked up to a model; the one in this instance was built by one of the team members, a huge, armored man. The most comical part was watching the person move around inside the box, and watch on the computer screen and see the model dancing right along with him. However, over all else the SIGGRAPH conference had to offer was that the conference gave me the ability and examples to follow. It got me very interested in computer graphics, as well as the motivation to go home and try some of the tings that I was shown. I was quickly humbled of course, and now am working on models that aren’t really that great, I do suppose someday that they will get there if I pursue, however for the time being I am having a wonderful time experimenting with a program called Blender, which is nice because it is free, but it lacks some key features that are fun to try to get around. All in all, the experience was highly educational and very fun. I was able to attend two days, which was probably enough for me, since many of the subjects were far over my head. However, the points that I gathered will benefit me for the rest of my life, as I now have a new standard to work off of. Siggraph 2004 was a really exciting and informative event. I often found myself unable to decide on what to do next because of the vast amount of possibilities. The activities ranged from taking art classes to learning about the latest and greatest technologies. The only convention I’ve ever been to besides Siggraph is the Comic Convention in San Diego, so I based my expectations from that. I expected many booths and numerous presentations about technology. Basically, my expectations were very vague and hazy. I took a look at the list of activities and picked a few that seemed interesting and should ask my mentor about. When picking events I favored anything that was related to animation, since that is my area of interest. Before even going inside, I set my mind on the job fair and the animation theatre. When I got inside however, the papers and presentations got my attention. My first day at the convention was on Tuesday when I met with my mentor and discussed some activities and my plans for the next two days. My mentor left me with an agenda, some anticipation, an electronic theatre ticket, and a cup of coffee. I headed over to the Exhibition Floor where I watched a few presentations on new software. I was even lucky enough to get a 28 x 40 Incredibles poster from the Pixar booth. My day continued on as I went upstairs for some sketches. With plenty to choose from, I decided on Squash, Stretch and Repeat. This was interesting for me since I’ve been learning Maya for three years now, so I had some knowledge on 3D packages and techniques. After the sketches I was very happy to find out that even the food was good and fairly priced! I ended my day with the Electronic Theatre. The pre-show entertainment seemed to be the most memorable. The audience got to play a game by throwing giant balls around with the goal of getting as many points as possible. The screen showed the paths of the balls and where the audience needed to throw them. The show itself was also very interesting and featured many of the hottest computer graphics and special effects. I was very excited to see Pixar’s newest animated short “Boundin”, which I’ve been looking forward to see for a long time time. The second day I went to the job fair to pass my resume around to companies in the San Diego area. I was a bit disappointed that most companies weren’t looking for entry level positions or internships. I found out at the Pixar booth that they begin looking for interns January of every year. So I will be sending my portfolio in January. However, I devoted my second day at the convention mainly to watch the papers, courses, and sketches presentations. I started with the Global illumination sketch and found that I don’t understand anything they were saying since most of it was about advanced rendering techniques. I left early to go to the Elements of Nature course and found it useless because it seemed to me that the speaker was trying to promote his software rather than speaking about how it works. After that I went to the Crowd and Group Animation course where they were talking about crowd animation in Shrek. This course was quite interesting and educational as they successfully presented how to solve some common problem of crowd animation. It also gave me some ideas that I could use on my own projects when working with Maya at home. I decided to end my day by going to the Effects Omelet. This seemed to be the most popular presentation of the day and in my opinion proved to be the best. They had my attention the entire two hours because it was very interesting to hear about how they solve difficult tasks such as the super punch in the Matrix. In conclusion the convention had its share of ups and downs. I felt some presentations were put together at the last minute, but others were organized and provided some exceptionally interesting and useful information. Overall I think the experience was highly worth it and I would be very interested in going again in the future.